Actually - t hings are pretty Rosy here - we have a bunch of new 14 Kt Rose Gold beads and Findings here to make you feel all rosy and warm. 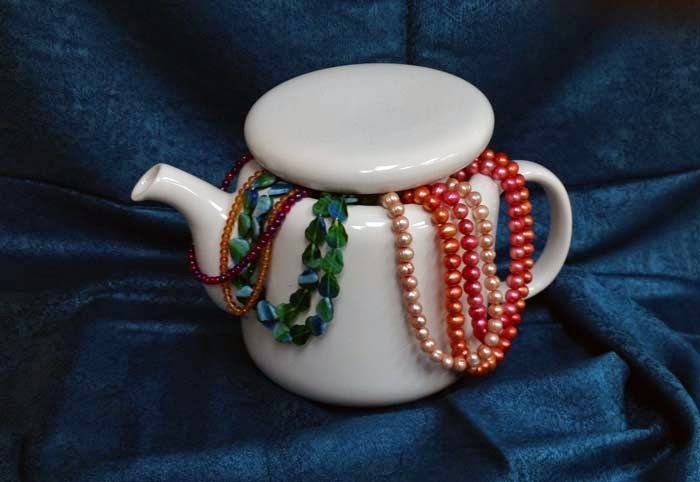 These gold-filled findings and beads will add a warm touch of elegance to anything you make. 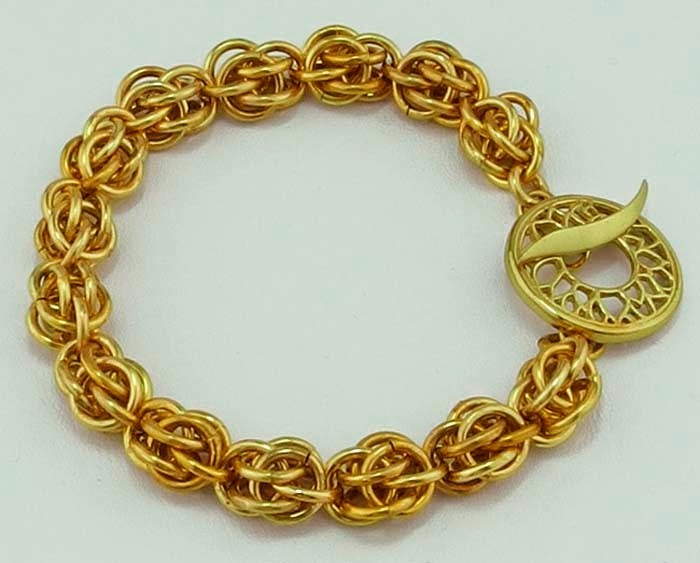 Gold-filled is a process that puts a much thicker and more durable layer of gold over a base layer, so is much longer wearing and more valuable than gold-plating. Rose Gold is an alloy of gold that has small amounts of copper added to make the colour sunny and warm and pinker than the regular yellow of gold. Sticky Bead Mat - bigger, and clearer - better for designing and composing your pattern. 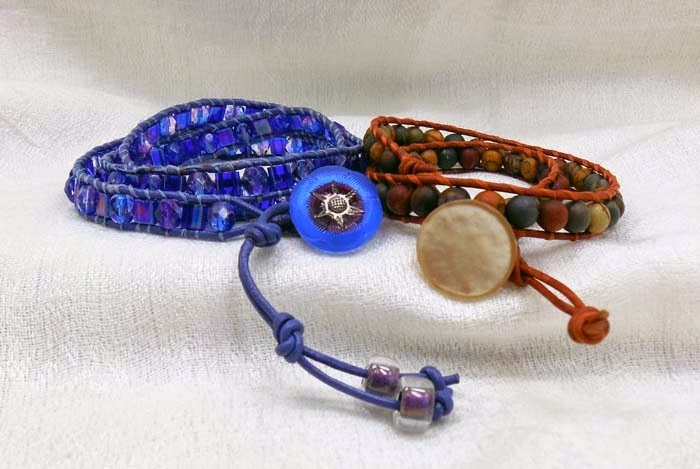 Vintage Beads, in Coral Red Opal, Blue Givre and White Givre - these are from an old warehouse stash, and will appeal if you are repairing old pieces or going for an authentic vintage look. Or just like them for what they are. New items in our Unburied Treasure (which, coincidentally - is also on sale this week!) including Raiders of the Lost Snark and the extremely obscurely pop-culturally-referenced Beraza Forest. Giant Hex-Nuts - hey - you never know! In Silky Copper and Silky Silver. And a bunch of new Rivoli stone mounts - link and dangles - for making more beautiful items with our gorgeous rivolis. 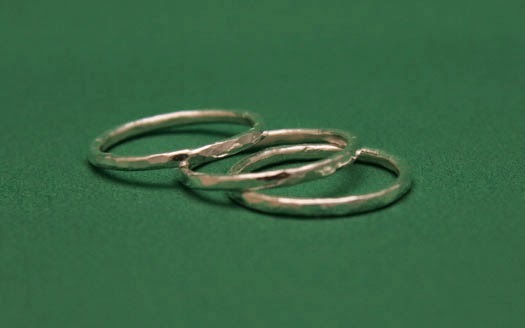 These fit our 12 mm and 14 mm sizes. Pleased and purple that’s what it will be. 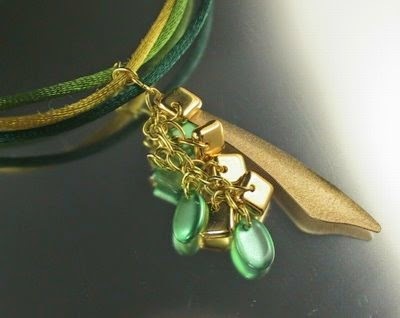 Cause this necklace can be worn with a shirt, sweater or even a dress. Come on make it and off we’ll go, my feet are already tapping. Yes, purple and pleased you too will be. Please add the pendant to the bail before wrapping the loop. I used a spot of the Super New Glue to keep the Big Hole spacers in place and glue can also be used to secure the end caps in place. Add the adjustable toggle and enjoy. 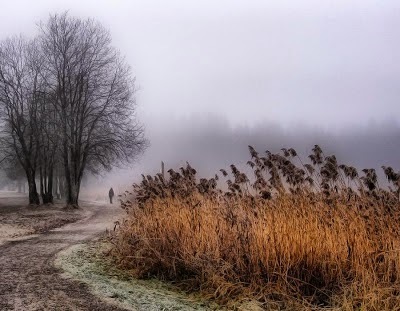 Welcome to November -- we have great classes leading into the holiday season! November?? When did that happen? Yes, time marches on and our classes continue to keep pace! 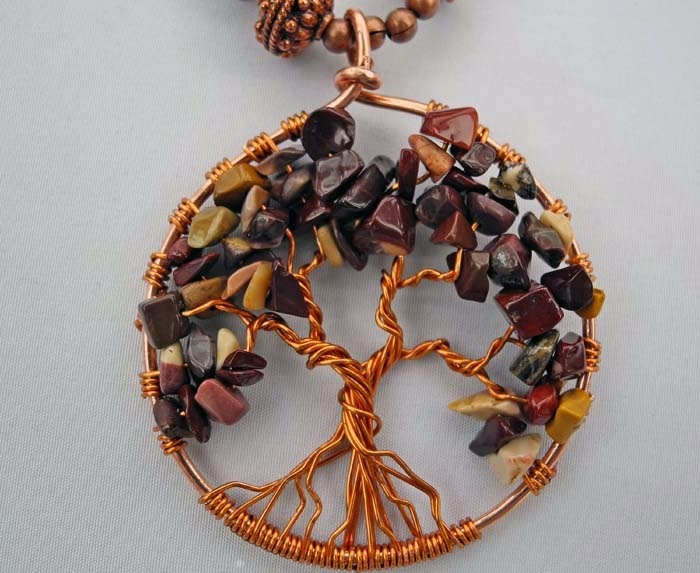 November has a number of new classes - perfect for learning a new skill (and perhaps using it for holiday gifts?)! 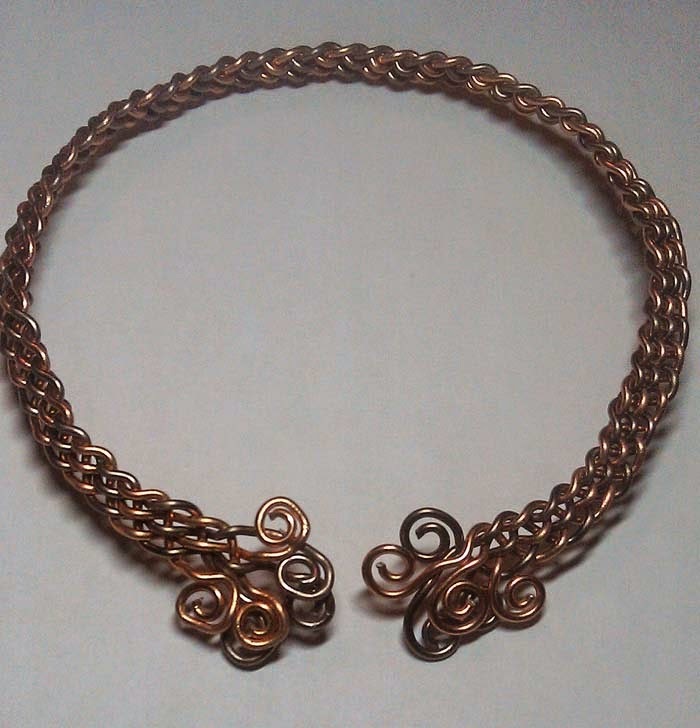 Jane Doidge, a new instructor, is teaching wire weaving! 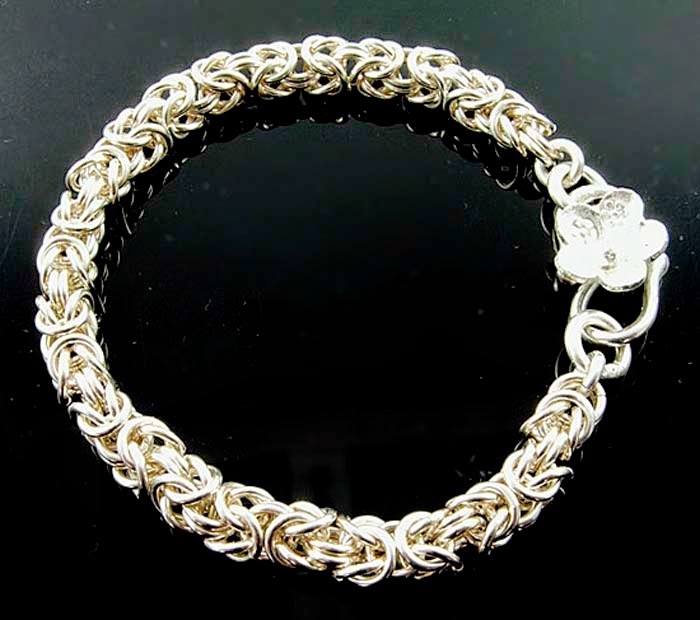 Marilyn Gardiner has a new chainmaille design. 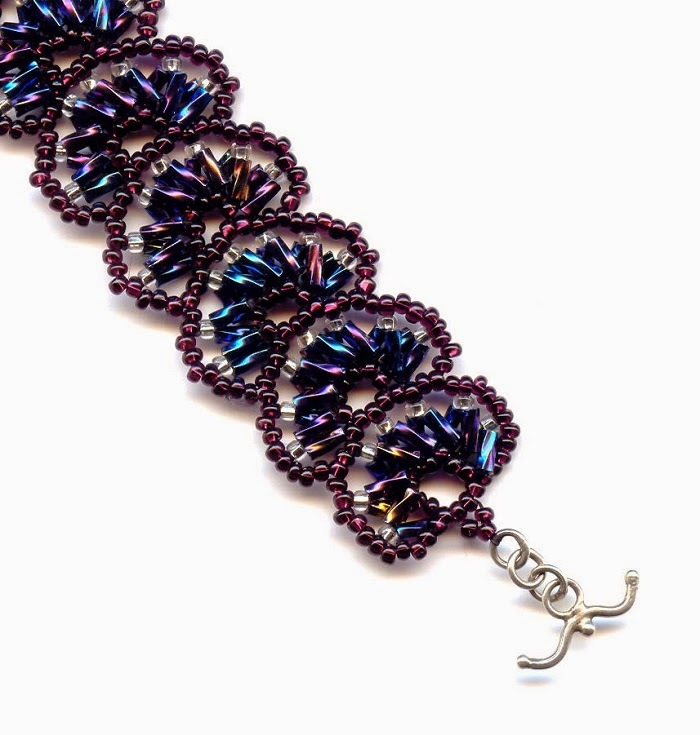 Pamela Kearns has a new herringbone bracelet - just accepted at the 2015 Bead and Button! 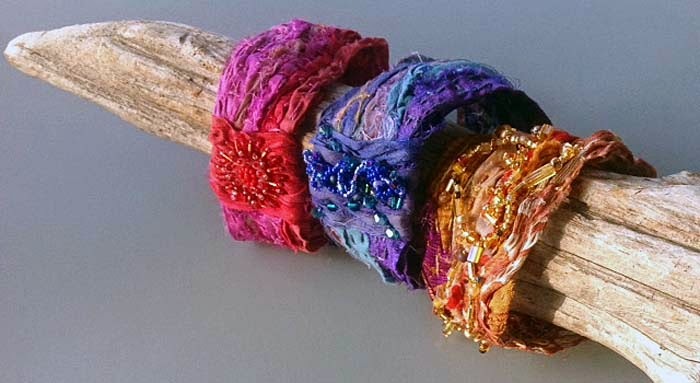 Mixed media artist Anne Marie Desaulniers brings us a new embellished bracelet using sari silk and Angela Peace has a new Cavandoli knotting project! 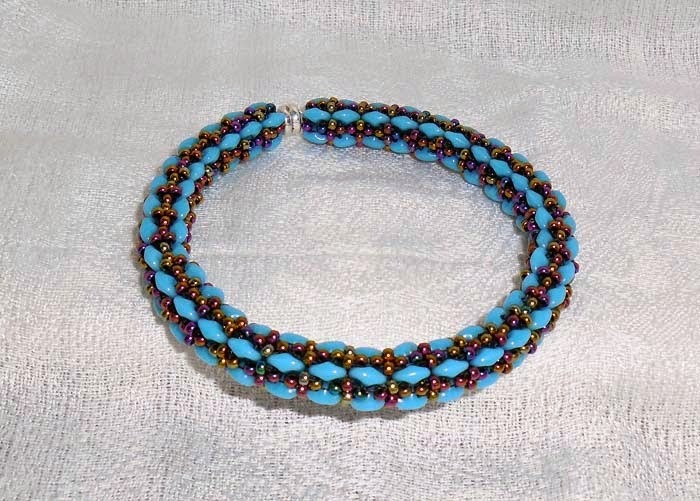 Sureka Sriharan is teaching an intriguing right-angle weave bracelet using two-hole SuperDuos! Our Trunk Sale is back! Twenty lampworkers, metal workers and other artists will be showing and selling their work throughout BeadFX. Our vendors will be focused on providing handmade components (rather than finished jewellery) that you can include in your own pieces. Complete information about all classes, including course description and fees, is found on our website. Click on 'Classes' and follow the links to the November class calendar. It’s feast time for crafters! Now is the time of year when people are seriously shopping, so here are 9 ways to help them shop with you. Offering free shipping is a great incentive for online shoppers. At this time of year customers are buying a lot and the shipping costs can really add up. If your price points are low try offering free shipping when they buy a certain number of items, or over a dollar amount. Offer a discount coupon or special sale to reward purchases made early in the season. This works well in getting the ball rolling and also encourages people not to leave it until the last minute. 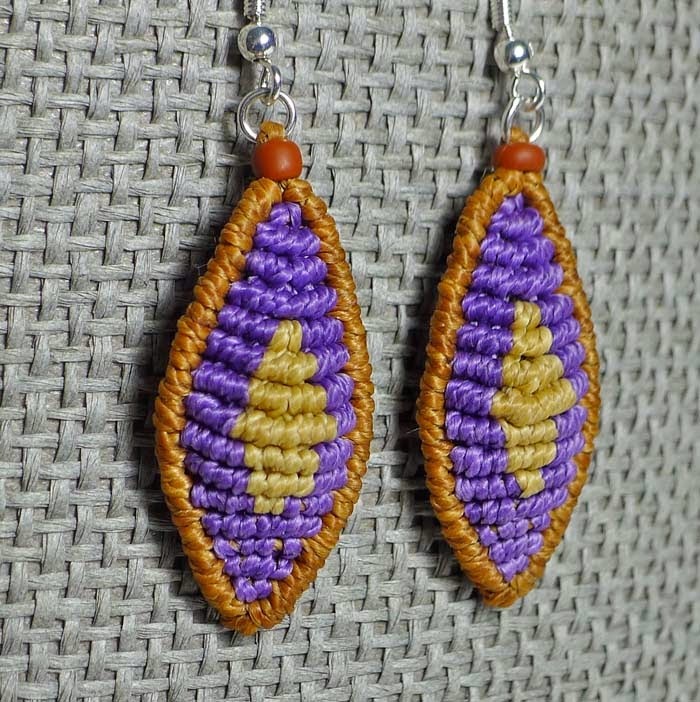 This could be half off a pair of matching earring when you buy a necklace, or combine earrings and a bracelet as a discounted gift set. Try running your own 12 days of Christmas deals. Make sure you do this with enough time for people to order and have it arrive in time. Give your fans a special deal. Try running a sale just for your Facebook followers, or a different deal for your twitter fans, or one for your email list. Not only will you increase sales, it’s a great way to see where your best fans are. Sometimes it’s the little things that make a customer buy. Create special packaging for your work for the holidays and let people know about it. This works especially well for men shopping online, it’s one less thing for a customer to worry about. Drop shipping is when you send the purchase to a third party. Rather than sending the item to the customer who is paying, you can offer to gift wrap it, put in a handwritten card (ask the customer what they want to say) and send it to the recipient. This is a real help for a lot of people during the holidays. Create a gift guide and post it on your blog, maybe offer a special deal for your items that are included in the guide. This can be done multiple times, as there are so many different people we shop for this time of year. Working on a new line for the holidays? Show off some of your finished pieces (or in-progress pieces) via your Facebook or blog. Offer a discount to whoever is willing to pre-order the item before its official release. Daisy, Daisy - give me an answer do. I'm half crazy - over the love of you! Gotta love these big, big, BIG daisy spacers! String three Big Hole Big Ball Daisy Spacers on approximately 50cm of the 3mm Metallic Dark Grey leather. These spacers are followed by three Big Hole spacers on either side. Add a spot of Super New Glue to keep the spacers in place on both sides. Add an end cap on each end and attach the clasp. Bingo! A necklace that is crazy easy! 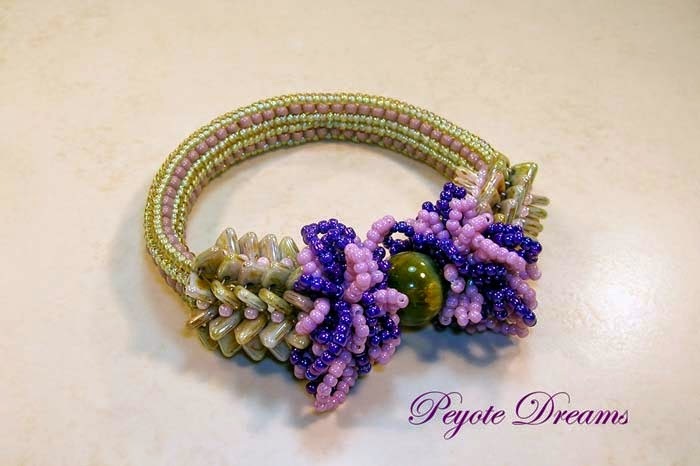 A Rosebud bead, by any other name, would bead as sweet. Although, in my humble opinion, these are too round and snowglobe-shaped to be rosebuds and really look more like ... cabbages. Cabbage Roses, perhaps? Anyhoo - perhaps they will remind you of happier days? If the rosebuds are not to your taste, then how about these Art Deco flowers instead? Or perhaps your beady garden needs butterflies instead? We have the new etched Farfalle. Farfalle means butterfly - just in case you missed that connection. 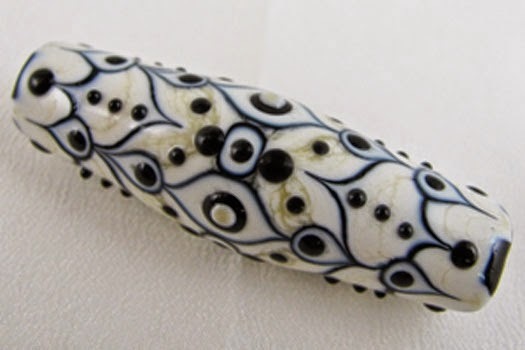 Variously called farfalle, peanut or dumbell beads, these etched variations have significant texture to them. More of the two-hole shaped beads - in this case - the 2-hole Czechmate Chexx squares - these new two-hole shapes really lend themselves to being used in some very clever designs. 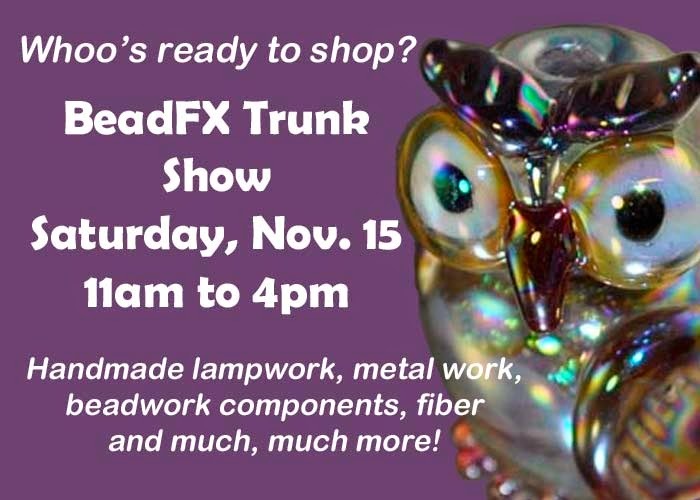 We're also organizing a Lampworkers/Metal Smith/Hand made Trunk Show (on Nov 15). We do this to support artists that would like to try selling but are intimidated by making enough inventory for a full show. 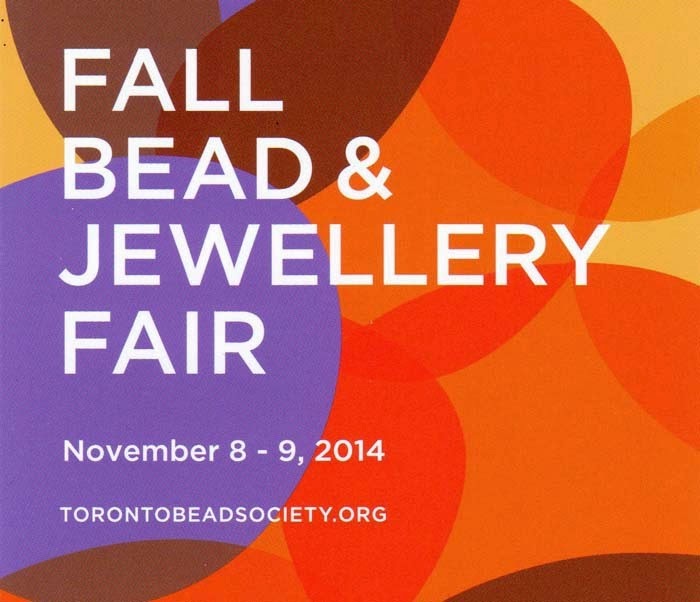 If you would like to participate and be a vendor, contact us for details. Vendors - the postcards are ready - you can pick them up for distributing. Abandoned studio glass - final reminder! One more day - 20% off tools! October classes are a 'Treat'! On Sale this week ... Tooooooools! Join us for a Holiday Class Bash!